| What is the name of COSMOS? Aisin Seiki Co., Ltd. power the Cosmos plan which involves technical solution ideas, project planning, and research development in small laboratories in Japan, the U.S. and Europe. The small laboratories have several astronomical names (Comet, Orion, Mercury, Operon, Spica). 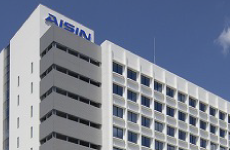 Presently, the origin name "AISIN COSMOS R&D Co., Ltd. " comes from the laboratories’ initials. Recently, the mini laboratories were reorganized and consolidated, then divided. However, the Cosmos plan philosophies such as creativity, taking advantage of location and continuing to challenge for higher technology, have been passed on. This graph shows in March 2009. Introduce our basic information such as representative director, capital, etc. We are working on research and development with putting the industrial field at the center of it. Introduction of our company policy.